The long cherished desire of agricultural community of Mithilanchal (North Bihar) was fulfilled on 18th August, 1960 when the foundation stone of Tirhut College of Agriculture, Dholi in Muzaffarpur district was laid by the first Chief Minister of Bihar Late Dr. Srikrishna Singh. The aspirations from the College were deployment of excellent source of agricultural knowledge and transformation of this vast fertile land tract of North Bihar in to granary bowl for upliftment of peasantry. The college was started with a handful of teachers led by Prof. S K Mukharjee as first Principal and one hundred students in 1961. The first batch of student passed out from the college in the year 1963. The college awards B. Sc. (Ag.) degree to the eligible candidates. 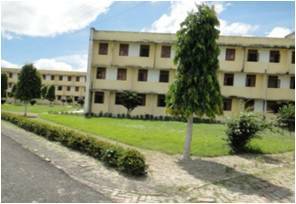 The college is situated at the cultural interface of Tirhut and Mithila. Its geographical location is 25.98° N and 85.60° E at an altitude of 52.18 m above msl. 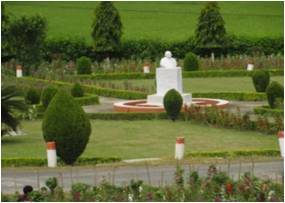 The campus is almost equidistant (30 Km) from Muzaffarpur and Samastipur and 100 Km from the state capital Patna. Providing agricultural education to young aspirants. Tackling the problems of agriculture. Dissemination of agricultural knowledge/ technologies. Govt. of Bihar provides stipend of Rs. 2,000/= per month to the students with an additional contingency of Rs. 6,000/= per year for the purchase of study materials. Similarly, a provision of stipend is also there for ICAR candidates. The building complex started developing at Dholi with the inception of college in the elegant bank of Burhi Gandak River. The first batch of students along some teachers was shifted to almost half built accommodation at Dholi in 1963. The college has developed as a beautiful campus with the facilities of modern teaching, advanced research and the other civic amenities. It has now the feathers of Golden Jubilee with glorious past. Thousands of students passed out from the college and earned a lot of glory. During the period, notable successes have been achieved in field of teaching, research and extension and still a lot of innovative efforts are being made by devoted and dedicated employees of the college to keep pace with agriculture and employment opportunities in the changing climatic scenario. The college has well qualified faculty in all the 12 departments supported by the specialized faculty members of the PG departments of the university. College maintains the teaching and research environment with regular up gradation of basic infrastructure. Well furnished modern classrooms, laboratories with modern instruments, Computer Lab. with internet facility, seminar room, conference hall, training hall, common room, auditorium, lush green play ground and a canteen within the campus provides good environment for education and overall personality development. The college is completely residential. Separate hostels with all basic amenities are available for boys and girls. Recently, special courses/ training like Soil Testing, Plant Health Clinic, Bio-fertilizer production, Mushroom cultivation, Seed Technology, Apiculture, Agri-Horti, Floriculture and Nursery Management have been included in the programme to generate ability for better global opportunity. In addition, the final year students are sent to Bihar Rural Livelihoods Promotion Society, JEEViKA for farmer’ field experience under Rural Agricultural Work Experience (RAWE) programme for six months. The College has fully equipped computer centre with internet facilities to train the UG students. 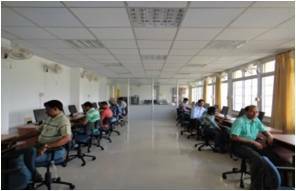 The ARIS cell provides internet facility to all the scientists and students of the college at door step. Since its establishment, the college library is catering the needs of students and teachers. It has extending reading materials having over 20,000 text books & periodicals for all basic subjects in agriculture as well as on applied aspects like Biotechnology, Organic farming, Entrepreneurship development, Psychology, Sociology etc. The library has recently procured CD-ROM database of references. In Plant Health Clinic courses, students are imparted practical knowledge about plant disease, insect pests, nutrient deficiencies, physiological disorders and their management / corrections by the experienced teachers/ scientist belonging to different departments of the college. In addition it gives practical training to the students and provides sensible services to the farmers. Hostel accommodation is available to all the students of the college. Boys and Girls are accommodated in five hostels, of which three are for boys and two for girls. All necessary facilities/amenities for comfortable stay, healthy environment for study and few amusement materials for entertainment are available in the hostels. Maintenance staffs are deputed for maintaining proper sanitation, security and law and order in the hostels. Each hostel is well connected with telephone and having generator facility. The common room is equipped with television and indoor games facilities. Every hostel subscribes to some popular magazine and newspapers which are placed in the reading rooms. The national Service Scheme (NSS) makes the students aware of national problems. The scheme is operated involving the local community for plantation, blood donation and rehabilitation against natural calamities. The College is considered as one of the best campus of Bihar in academic excellence, scientific achievements and discipline among the students. This sprit also reflects in games and sports in which participation of the students and encouragement by the faculty members has always been excellent. The games and sports society of the college regularly organize Championship Tournaments in outdoor and indoor games. The college regularly organizes Inter College of T.T., Foot ball, Cricket, Volley ball, Badminton, Caroms, Chess and Athletic Meet. On the basis of their performance in these tournaments, students of the college regularly participates in university Team and All India Inter Agricultural University Sports and Games meet. To boost the creative and literary skill, the society is encouraging students by involving them in various activities at college level and by their participation and meritorious achievements at University, Zonal and National levels. The activities include wall magazine, quiz contest, elocution contest, debate and essay competitions. Such continuous and regular activity provides them to a forum of intellectuality amongst students.